By Michael James Kelly also Green Bay Packers rock!!!!!!!!!! John Locke was born in 1632 in Wrington gust southwest of England. He staid in Wrington until he went to Westminster in London. He died in October 1704. Locke traveled around Europe for his own safety and wrote 2 essays which were published in 1689. Locke was a theorist and believed that of that many belief mandatory for Christians were unnecessary. That the word idea was crucial for the humans mind to help explain its self. Karl Marx was born in Prussia on 1818. He was the oldest of nine children. Karl Marx wrote the theorist on the stages of government. He also live in London for the rest of his life. Capitalism- Government does not provide services and the economy is free. Plutocracy-ran by a elite group for there own interests. china is a communist government. Jordan is a monarchy government. The united kingdom is a monarchy government. A social structure is the class in which a person is. A economic structure is when the trade , employment, output and economic is used to describe the changing balance of economic changes. 1.In a slave society all out put is made by slaves and the owners do the rest. 2.in a capitalism the owners control everything. 3.in the 1 stage of government every thing was controlled by everyone. How the stages progress to each the other. 2. privet property, agricultural and domestication of animals. 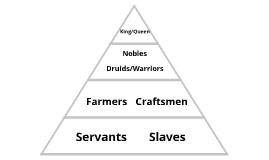 3.slaves,big production needed and big empires. 4 .inherited classes, chivalry and all land owned by nobles and above. 5.merchants, people are paid for work and privet owner under and over nobles. 6. profits owned by workers, work vouchers and revolution. 7. government is gotten rid of. We are in stage for because company owners make a lot of money and the working class and close to the poverty line.